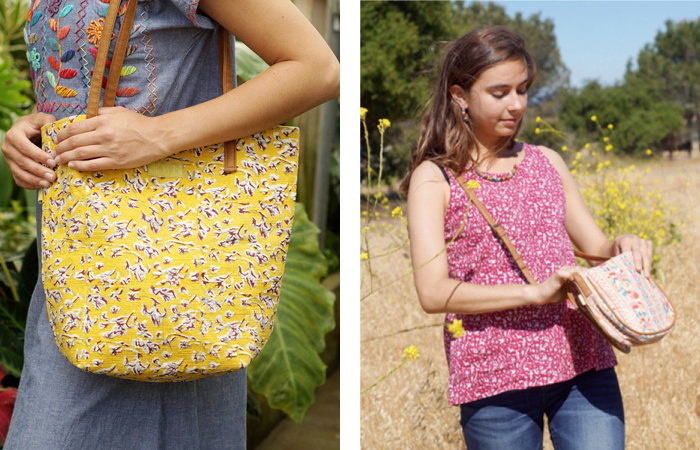 Introducing our new line of colorful, versatile, high-quality bags from India! 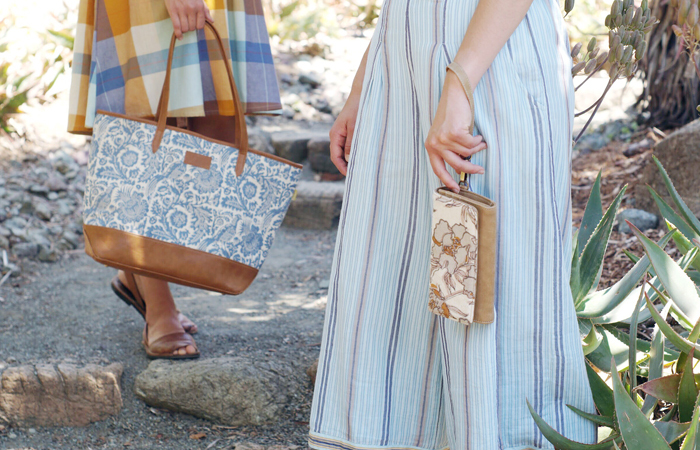 With a range of designs made from both ethically-sourced leather, vegan leather, and hand-block printed designs, there is truly a JOYN bag for everyone. JOYN is reviving traditional craftsmanship for the modern market, “JOYNing” marginalized communities with markets. JOYN’s vision is to change the fashion industry from the inside out. They “believe in products that empower the cultures they come from.” JOYN founder Mel Murray’s goal is to “create pockets of manufacturing all over India and Southeast Asia that are locally led, putting work back into the hands of the makers, defying the ‘fast fashion’ industry of sweatshops and underpaid laborers.” JOYN is paving the road to humanizing our purchases, with each JOYN tag signed by the weaver, block-printer, and stitcher who made that particular bag. 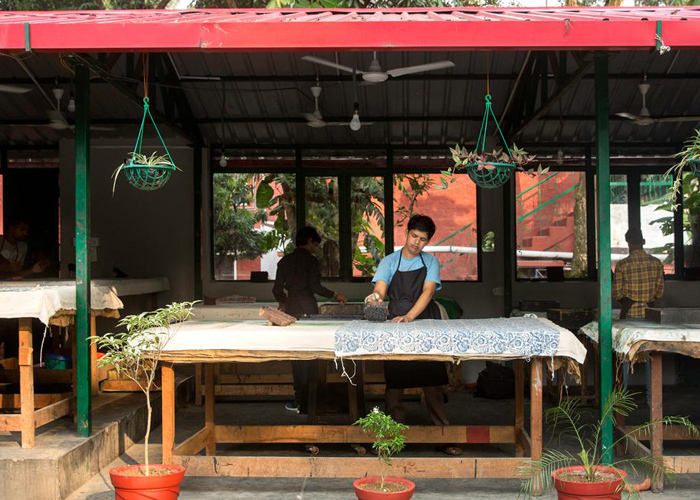 JOYN’s headquarters are located in Rajpur, India, a small, sleepy village at the base of the Himalayas that is home to a mix of mountain people from India, Nepal, Tibet, and more. JOYN works to bring these people of different backgrounds, religions, languages, and cultures together in a community to create their beautiful bags and build better futures. JOYN’s artisans benefit from access to medical care, vocational training, childcare, micro-loans, life-skill training, counseling, and much more. 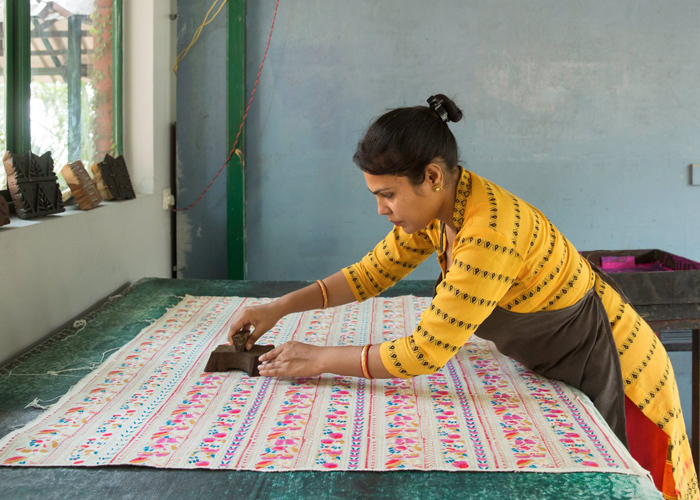 The story of JOYN bags begins before Rajpur, however, with paint purchasing and block carving occuring in Rajasthan, cotton farming in Calcutta, spinning in Dehradun, and weaving in Calcutta and Dehradun. 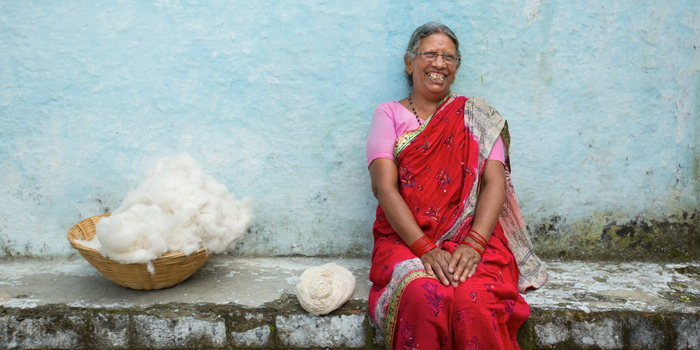 JOYN honors the rich history of cotton by employing traditional local farmers, cotton spinners, and weavers who have suffered from the industrialization of cotton and the introduction of GMO cotton. JOYN’s cotton fabric is hand-picked, hand-carded, hand-processed, hand-spun, and hand-woven on looms before the lively prints are added. 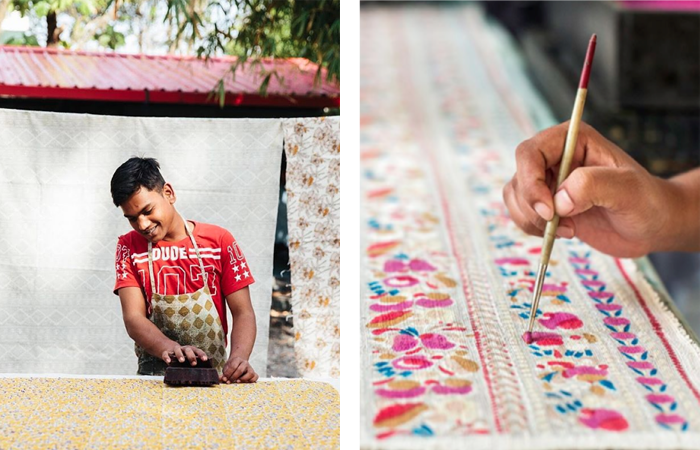 Finally, it all comes together in Rajpur, where the paint mixing, block printing, and stitching magic happens. 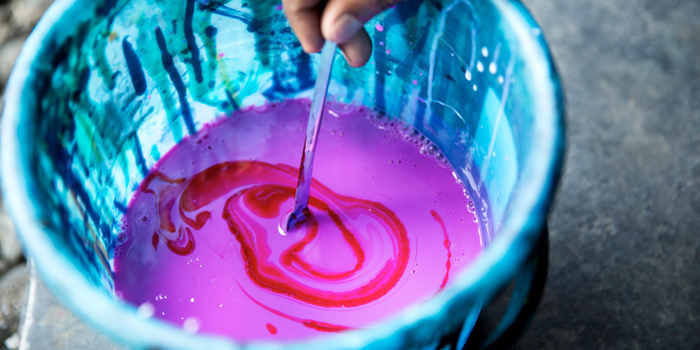 Block printing is a traditional technique achieved by dipping a pattern block in hand-mixed pigment colors and applying it to the fabric from left to right. The block must be slammed firmly onto the fabric so that a good impression will register. This process is repeated for as many colors as a specific pattern calls for. The printed fabrics then dry as the dyes fix, preparing for the stitching stage. Though most of the JOYN bags we stock at HumanKind are made from cotton fabric and vegan leather straps and details, we also carry a small selection of JOYN’s ethically-sourced leather bags. 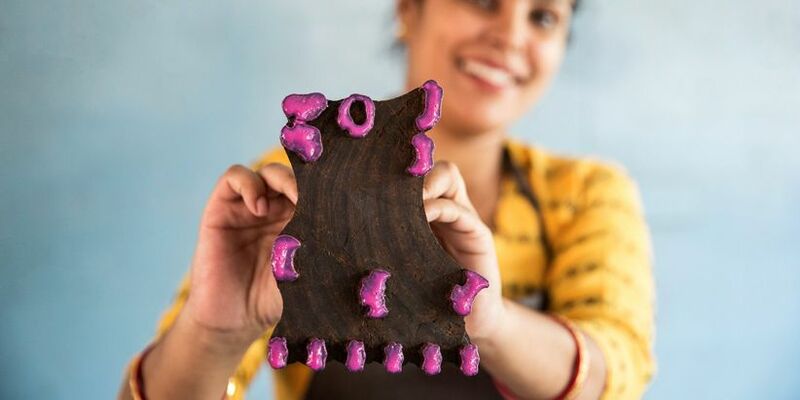 JOYN’s leather is sourced directly from a family-owned business in Delhi that specializes in leather surplus markets, enabling JOYN to repurpose leather that giant fashion companies would have sent to the landfill. This allows JOYN to source high quality leather while remaining ethical and not adding to the high levels of waste that already come from the fashion industry. Join us in celebrating these beautiful bags and check back for new prints with the changing seasons! You can shop our current collection of JOYN bags here!